Hotel Elvey Farm, Ashford, United Kingdom - Lowest Rate Guaranteed! With a stay at Elvey Farm in Ashford, you'll be within a 15-minute drive of Hothfield Heathlands Nature Reserve and Chart Hills Golf Club. 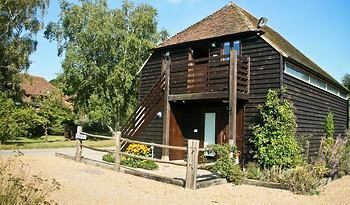 This 4-star guesthouse is 9.7 mi (15.6 km) from Leeds Castle and 9.4 mi (15.2 km) from Ashford Designer Outlet.